Enjoy this three-day festival that takes place each year and features an array of seasonal entertainment for those of all ages to enjoy. Attractions include pony rides, not-so-scary hayrides, a kid-friendly haunted barn, a costume contest, trick or treating, crafts, a pumpkin weigh off and more! Visitors can enjoy over 30 seasonal attractions included in general admission pricing! With over 40 acres of fun, those of all ages can enjoy the all that Siegel’s Cottonwood Farm has to offer. General Admission includes all attractions expect for Gem Mining, Climbing Wall, Scrape Yard Shootout, Sniper Zombie Paintball and Pony Rides. Vala’s offers over 50 attractions at one great location, including an old-fashioned hayrack ride, barnyard adventure ride, a corn maze, storybook barn, spook shed, haunted farmhouse, haunted trail and graveyard, lost pumpkin mine, big slide ride, stalk cars, giant checkers and tic-tac-toe, sandbox tractor play, dress-a-scarecrow, corn wagon play area, graveyard golf and much more! Tom’s Maze features eight acres of cornfields and isn’t your ordinary maze, as visitors must solve a puzzle in order to escape! There’s twists and turns and you’re bound to get lost more than once, but add a challenging puzzle to the mix and it’s even harder to find your way out! With over 40 acres, there’s more than enough space for a ton of seasonal fun to take place! Families can enjoy a kids corn maze, rope maze, cow train, sand pit, corn crib, big slides, fire pits, face painting, a 10-acre corn maze, delicious seasonal foods and beverages and much, much more! 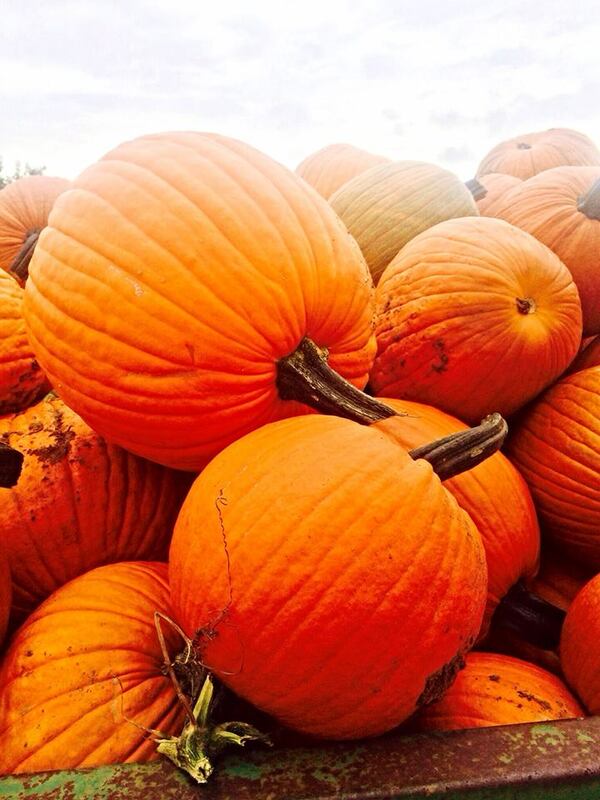 According to the pumpkin patch’s website, they haul in over 300,000 pounds of pumpkins each year! Along with their pumpkin patch, families visiting Papa’s can enjoy a corn maze, corn cribs, slide mountain, a nature trail, log jam, a kid’s kingdom and much, much more! Wander through Walter’s 30-acre pumpkin patch and pick the perfect pumpkins for you and your family during the Fall Season! Along with the pumpkin patch, there’s also a corn maze, pump-gun cannon, jumping pillows, human gerbil wheel, Carroll’s corn crib, farm scene investigation, Cinderella’s carriage, pedal boats, graveyard golf and the annual Pumpkinfest Festival – plus much more for the entire family to enjoy. Check out Uncle Bill’s 10-acre pumpkin patch, wander through the giant corn maze, enjoy a wagon ride, corn pool, giant jumping pillows, farm animal haven, live entertainment on the weekends and more! This family owned pumpkin patch has been in operation for over 50 years and offers a 12-acre pumpkin patch with over 30 varieties, a corn maze, petting zoo, hay maze, bounce house obstacle course and slide, pony rides, train ride, Dreams of Darkness Haunted House and tasty foods and beverages for after you’ve worked up an appetite! This pumpkin farm offers retail, wholesale and tours, along with their Fall Season fun, which features Punkin days, a petting zoo, Punkin train, Andy the Clydesdale, dog demonstrations and lots of kids entertainment for the little ones to enjoy! Families who visit Kroll’s Fall Harvest Farm can enjoy picking the perfect pumpkins in the pumpkin patch, wander through the corn maze, take a hay ride, visit animals and more! Cox Farms offers an endless amount of entertainment for families to enjoy. Along with their pumpkin patch, there’s a music stage where local musicians play, tons of cute animals to see, fun mazes, tunnels, trails and slides! With over 40 acres, there’s more than enough space for a ton of seasonal fun to take place! Families can enjoy a kids corn maze, rope maze, cow train, sand pit, corn crib, big slides, firepits, face painting, a 10-acre corn maze, delicious seasonal foods and beverages and much, much more! Wander through different shapes of sizes of pumpkins at Roloff Farms, along with wagon tours, pony rides, face painting, a gift barn and an adventure area with an endless amount of entertainment! The adventure area offers a corn stalk maze, obstacle course, hay pyramid, spooky forest trail loop, putt putt golf, pumpkin fun house, rail roller and more! There’s more than enough space for a ton of seasonal fun to take place at Preston Trail Farms in Gunter! Families can enjoy a hay maze, roping pen, farm train, petting farm, the Big Orange Pumpkin Farm, and delicious seasonal foods and beverages in the Preston Trail Farms Cafe. Located right behind the train station, this pumpkin patch offers tons of varieties, shapes and sizes! Families can also enjoy other activities offered by the park, including wheel fun rentals, bike rentals, paddle boats, the Orange County Zoo, horse rentals, pony rides and more! The Pumpkin Fiesta takes place on specific days in September and October at Becker Farms and along with the patch, there’s also pony rides, jumping pillows, goat races, a bounce house on the weekends, duck races, water tables, a playground, farm animals, tasty food and beverages – just to name a few of the activities! Enjoy endless entertainment at Shady Brook Farm, including pumpkin picking during Pumpkinfest and Pumpkinfest After Dark, wagon rides, a giant corn maze and a variety of seasonal activities for the entire family to enjoy together.